As of today, February 12th 2016, CombineOverwiki - The original Half-Life and Portal Wiki, turns 10 years old. Half-Line Miami: A mashup between Hotline Miami and Half-Life 2 releases for FREE. Do you like Half-Life 2? Do you like Hotline Miami? If yes to both, then boy do we have just the thing for you. Welcome to the site so far! We are working all day to complete LambdaGeneration to a good standard. So far everything has gone smoothly and anyone who has contributed so far (especially Dom aka. Silent Rebel) who created the awesome header and footer graphics as well as the Twitter feed. Stand by for updates. Anyone who would like to become an editor or admin will be contacted this week. 15 Years ago, on November 19th 1998, Valve released Half-Life. What followed was an entire revolution in the gaming industry. Half-Life redefined the FPS genre, it implemented rich storytelling, introduced new technologies and catalysed an entire platform for user-created content, all in one package. A new generation of gaming was born. The original Half-Life was first announced in early 1997, initially set for that year’s holiday season. But one very impressive E3 1997 showing later, and suddenly Half-Life was on everyone’s radar – expectations were ramping up, and suddenly, Valve were in the center of the gaming world’s attention. And so, later that year, close to their projected release date, Valve decided that a delay was in order. Once they’d attained it, a lot of the pressure was off, and the team at Valve spent began to intensely evaluate every aspect of the game, and all of the content they had created in one year of development. And while there had been a considerable amount of progress, and the game itself was in very good shape, it just seemed like there was something missing – as Valve engineer Ken Birdwell stated in The Final Hours of Half-Life, the game simply wouldn’t have gone “over the edge anywhere“. To Valve, it seemed like Half-Life could be a lot more revolutionary and a lot more groundbreaking. Thus, in late 1997, an entire game’s worth of content and design was completely scrapped, and Half-Life underwent a complete redesign, fully from the ground up. What gamers eventually got one year later in November of 1998, amounts to an entirely new game (in fact, according to Ken Birdwell, it really is a Half-Life 2 of sorts). But what happened to the Half-Life that never was – the “Half-Life 0” that Valve unceremoniously threw out the door? Speedrunning! It’s been around since 1994. Some consider it a form of art, some don’t. But what we do know about it is that it is damn fun to watch! I mean, come on. Whether you’re watching a Quake speedrun, a Metroid speedrun, or what have you, it’s almost as entertaining as actually playing the game in question. There’s two main types of speedruns: single-segment speedruns and multi-segment speedruns. The latter is a speedrun in which the runner does not actually do it in one sitting – he does it in multiple sittings, in multiple segments to ensure perfection and correct any mistakes. The former is a speedrun made out of one single segment. No pausing, no saving. One single sitting. That means every time you make a mistake, you either bear with it, or call off the entire thing and start over. So a single-segment represents the ultimate test of skill and endurance. The Valve community hasn’t shied away from speedrunning either. Last year’s astounding 9-minute Portal speedrun by DemonStrate still holds the world record for Portal speedruns. And there’s also been numerous Half-Life speedruns – single-segment, multi-segment, crowbar-only, you name it, these guys have probably done it. The world speedrunning record for Half-Life 1 is still held by Blake “Spider-Waffle” Piepho, who completed his infamous “Half-Life in Half an Hour” speedrun (for which a series of commentary videos can be found here) in October of 2006, with a time of 29 minutes and 41 seconds. Blake’s also done a number of other Half-Life speedruns. 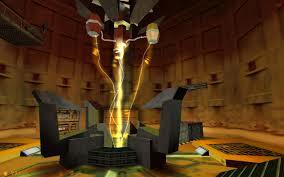 For more information on Half-Life speed runs in particular, head over to Source Runs. You should also check out the Speed Demo Archive, and the Speed Run Wiki. But let’s get to business, shall we? Do you want to learn more about Half-Life? To see the obscure? To witness the oddities? Then you’ve come to the right playlist! The ‘Half-Life Fact Files’ is a small project by Rikki D’Angelo or more well known to the Half-Life community as Marphitimus Blackimus (or Marphy Black for short). Self-described as “an instalment in this series of Half-Life educational film strips”, the project is focused on exploring the outlandish knowledge, obscurities and fascinations that lie behind the very fabric of Half-Life.